Bluetooth speakers have been a lifesaver for music enthusiasts. They eliminate the need for wires by allowing you to listen to music via Bluetooth technology. They are also portable and can be used anywhere at any time. Nevertheless, recent years have seen most brands of Bluetooth speakers have higher prices. But that is not the case with this article where we have only focused on the best but affordable Bluetooth speakers. They work just like premium quality speakers and will meet all of your needs. We have compiled the best ones in the following top 10 best Bluetooth speakers under 100 for easy buying experience. The Archeer Orange A226 Portable Bluetooth Speaker delivers high quality crystal-clear sound. It can be used in the kitchen, shower room, home, bathroom or even car. It is strongly built, and this means you can use it outdoors without worries knowing it will stand up to all hostile outdoor conditions. The speaker is great for poolside, bicycle, hiking, beach, playground, climbing, and camping. Its water-resistant rating is IP64, although, the manufacturer discourages users from immersing it in water. 18-month hassle-free warranty: Protects against original defects. 40-day money back guarantee: Allows users to return the speaker should they be unhappy with it. Sturdy carabiner: Makes it easy to clip the speaker on a bicycle, backpack, and more. 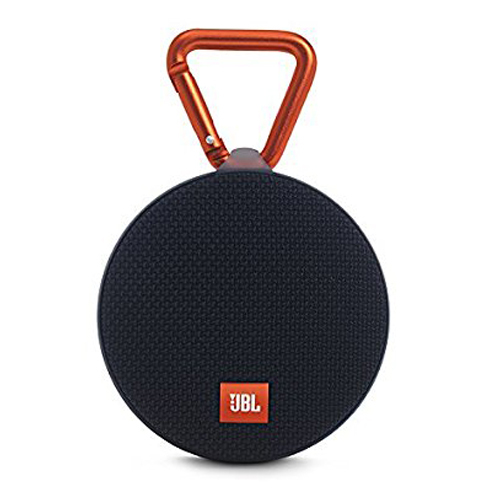 Stream your favorite music wirelessly with the JBL Black Flip 3 Portable Bluetooth Speaker. It is designed to last through generations with its sturdy construction. In addition, it is splashproof, meaning you can confidently use it outdoors knowing it will not be damaged by the rain or splashes. The speaker comes with an integrated rechargeable Li-ion battery, which works continuously up to 10 hours. Take advantage of its surprisingly powerful stereo sound for an optimum listening experience. Durable fabric material: It enables the speaker to withstand all impacts and falls. Noise- and echo-canceling microphone: Allows you to take crystal clear calls. Ultra-compact design: It makes it very easy to carry the speaker anywhere. Improve the sound quality of your music by using the Yoyamo Grey Portable Wireless Bluetooth Speaker regularly. The unit comes with a built-in Li-Polymer 2200mAh battery, which boasts a playtime up to 10 hours. This means you can use the speaker for long hours without relying on electricity. Ideally, it encourages you to use the speaker outdoors when barbecuing, picnicking or partying. Although the speaker has powerful Bluetooth technology, it comes with 2’ micro-USB aux cable to let you connect it to non-Bluetooth devices. 12-month warranty: It protects against the unfortunate. User Guide: Takes you through on how to use the speaker. Anti-skid mat: It is on the bottom of the speaker, and it helps add stability. There are a lot of features in the soundbot Bluetooth Wireless Speaker. Well, the manufacturer combines these features to make sure the speaker delivers when it’s needed. You will instantly love this speaker, especially if you are ever on the go. Its sturdy construction will let you use it outdoors, perhaps when you are out on a camping or hiking trip. Additionally, this unit produces crystal clear HD sound, which makes music-listening experience better. 5 Different Colors: They include Black/Black, Black/Red, Black/Silver, Blue/Blue, and Red/Red. Built-in Mic: Allows you to answer calls. 6W + 6W Loudspeaker: It enables the speaker to produce sound at a volume level that is loud enough. Ultra-rugged and ultra-light, the JBL Black Clip 2 Portable Bluetooth Speaker is the perfect package for anyone who loves outdoor activities. What’s more, it is 100-percent waterproof to let you use it anywhere including close to water bodies. You will find the speaker’s performance amazing, especially when it comes to enjoying your favorite music. It offers 8 hours of playtime to let you play your music stress-free even when there is no power. Upgraded carabiner: Allows you to clip the speaker to your clothes or backpack when going on an adventure. Durable waterproof fabric: It enables the speaker to withstand any form of water, be it rain or splashes. Speakerphone: It eliminates noises and echoes to ensure clear phone calls. The iFox Bluetooth Speaker (iF012) makes a great gift that will bring you a smile. You will fall in love with its ability to resist water. 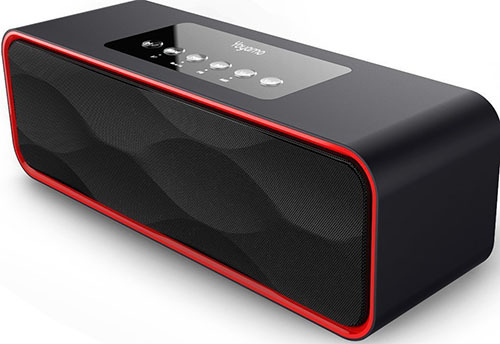 Unlike most high performing units, this Bluetooth speaker boasts several certifications. 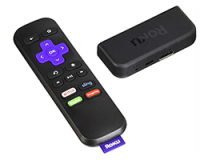 It is certified by ROHS, FCC, and CE to give you peace of mind while using it. It is one of the few speakers that you will fully submerge in water up to incredible 3 feet. Its Bluetooth technology is powerful enough to reach up to 33 feet. 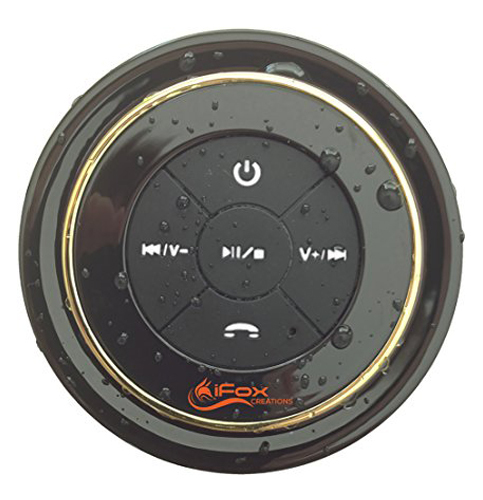 Nothing beats the iFox Bluetooth Speaker (iF012). Full 12-month guarantee: Gives you enough time to return the product. Suction cup: It enables the speaker to easily attach to ceramic, glass or any other smooth surface. White filled buttons: They can easily be seen even in the shower. If you want an incredibly powerful speaker, the Captain Wireless Bluetooth Speaker is for you. Its multiple interfaces will let you play music through Bluetooth, microSD, TF card, aux or radio. Additionally, this speaker is highly compatible. 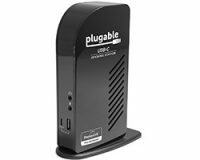 And this means you can use it with iMac/iPod/iPhone/iPad, Tablets, Laptop, PCs, Nexus, LG, Sony, Samsung, and other devices. Apart from the wireless Bluetooth technology, the speaker comes with a 3.5mm audio cable for use with non-Bluetooth devices. Built-in microphone: It is for hands-free speaker phone calling. Sleek premium quality ABS cover: It shines in a bright environment to bring out an appealing result. Built-in FM Radio: It allows you to listen to local radio stations. 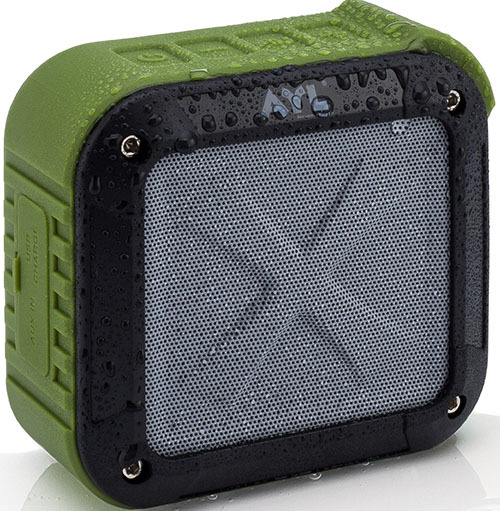 Stronger bass and high quality sound are the trademarks of the AYL Portable Outdoor Bluetooth 4.1 Speaker. This unit is designed to outsmart the competition. And it does exactly that with its powerful features. Its quality makes it one of the best outdoor speakers in 2019. You will find the speaker ideal for climbing, hiking, traveling, fishing, running, and more. The powerful Bluetooth technology can reach up to 33 feet to allow you to listen to music from the speaker even when you are far away. 5-watt audio drivers: They ensure stronger bass and higher quality sound. Bluetooth technology: It allows you to pair with Bluetooth-enabled devices. High capacity battery: It lasts up to 12 hours, making the speaker reliable. Premium quality clear sounds can only be delivered by a powerful speaker like the Cambridge Soundworks Black OontZ Angle 3 Bluetooth Speaker. 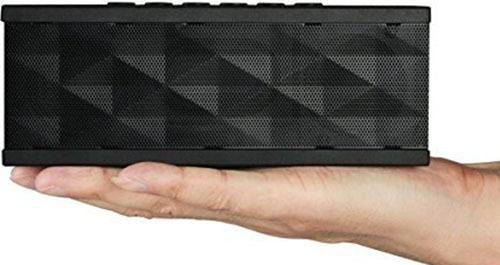 Portable and sturdy, the speaker is worth relying on when you are going on a camping or hiking trip and don’t want to miss your favorite songs. It is also stylish to let you take it out without thinking twice because everyone will like it. You will be thrilled by the fact that its bass remains free of distortion even when the volume is raised to the maximum. Built-in Mic: It allows for hands-free speakerphone calls. High capacity 2200mAh battery: It is rechargeable and lasts up to 22 hours on a full charge. Bluetooth technology: It allows you to stream music wirelessly. 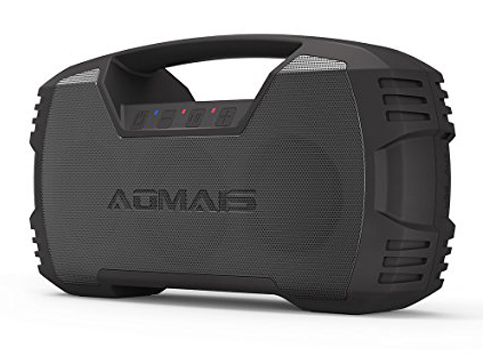 When you buy the AOMAIS Black GO Bluetooth Speaker, expect nothing but impressive volume. It is a powerful speaker made by a company that prides themselves on providing the highest quality products at affordable prices. The speaker is well crafted, meaning you can use it anywhere including extreme conditions with snow, dust or water. You will love its highly functional technology that allows you to listen to music wirelessly. Buy it for yourself or for any music lover with an active lifestyle. 7200mAh rechargeable battery: It can last up to 30 hours when recharged fully. 12-month warranty: Ensures risk-free purchase. 3 different colors: They include black, blue, and red to let you choose a color you find desirable. All Bluetooth speakers have Bluetooth technologies. However, the strength and versions of their Bluetooth technologies vary greatly. You should, therefore, make sure the speaker you are set to purchase has an admirable Bluetooth strength. Luckily, finding a speaker with powerful Bluetooth technology will not be a daunting task, as the ones listed above mostly have a Bluetooth range of up to 33 feet. In most cases, you will find yourself using your speaker outdoors. Well, this can be dangerous if your speaker is non-waterproof and it starts to rain. 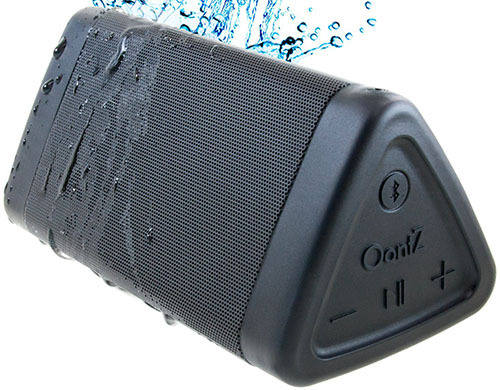 As a result, you should make sure that the speaker you plan to buy is completely waterproof. Moreover, 100-percent water-resistant speakers can be used confidently next to swimming pools and even at the beach. Apart from basic features, your speaker should have other added features that make you a proud user. With this in mind, try to go for a unit with extra features such as a built-in microphone, which allows you to answer calls hands-free, as well as a built-in FM radio for listening to local radio stations. 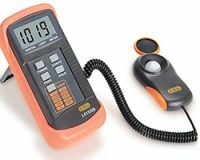 You may also consider units with long-lasting batteries, as they are more convenient. You don’t need to exceed your budget in the name of buying a quality Bluetooth speaker. Instead, go through the above list and guideline for greatest deals. Although they are amazingly cheap, Bluetooth speakers listed here are no doubt some of the best on the current market. They are versatile and have what it takes to be your favorite outdoor companion.